Got a mango lover in your life? The juicy tropical fruit is rich in vitamin A, Vitamin C, fiber and potassium – that perfect burst of juicy goodness that brightens up any winter day. Apples and oranges, move over – it’s time to share the holiday spotlight with the tangy tropical superfruit. For the mango mega-fan in your life, here’s a gift guide that’s sure to bring smiles. Dried Mangoes: The perfect stocking stuffer for the busy fruit lover in your life. Dried mangoes are a great gift for busy students, parents, or office workers who like to keep nutritious snacks on hand. Stock up on these natural, wholesome treats to stave off sugar cravings, and keep a few bags around to give as gifts for people who like to prioritize healthy snacking. 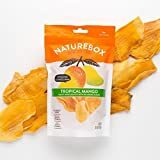 These tangy dried mangoes are vegan, organic, and non-GMO, and contain no artificial ingredients or preservatives. The tender strips of real fruit are dried in the sun, making these snacks chewy, sweet and flavorful. Made of nothing but mangoes – no added sugar or artificial ingredients – these healthy snacks are great for anyone who makes health a priority in their life. Plus, they're vegan and paleo friendly. These come in re-sealable bags that are great for sharing or to take with you on-the-go. 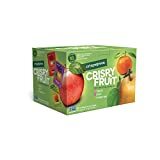 Give your loved ones the gift of healthy treats with this variety pack of crispy, freeze-dried fruits. With less than 60 calories per pouch, these fruits are certified gluten free, nut free, OU Kosher, and non-GMO. Try adding them to your cereal or stirring them into muffin batter! 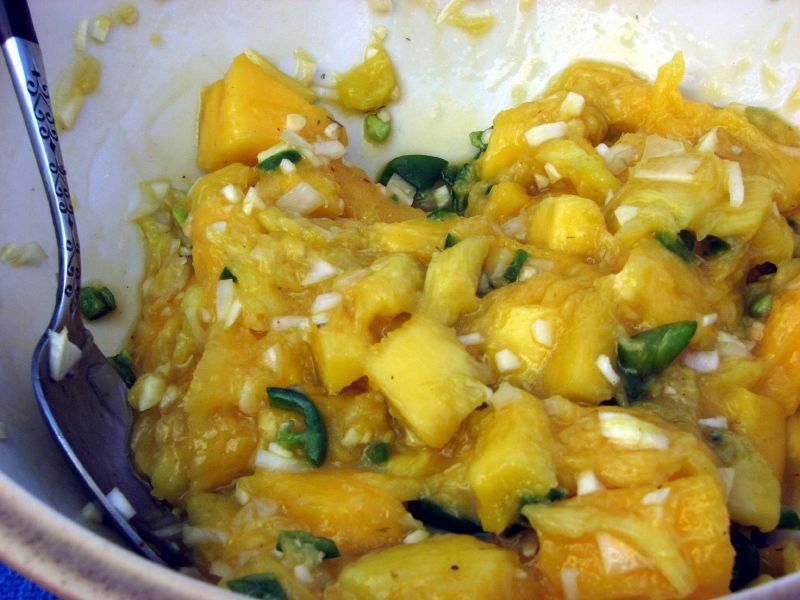 The perfect blend of spicy and sweet, mango salsa is an extraordinary accompaniment to chicken, pork, and fish dishes. It’s also great paired with crunchy tortilla chips! Bring a flavorful jar of mango salsa to your next holiday party or add it to a gift basket for the mango-loving home chef in your life. Made of high quality, fresh ingredients, this mango salsa has a mild flavor with a bit of a spicy kick. Use it as a topping or marinade for grilled chicken or fish, or as a dip for veggies or tortilla chips. The mango flavor really stands out in this delicious salsa. Give the gift of tropical flavor for the serious mango lover with this party-size jug of mango salsa! With notes of lime, garlic, and jalapenos, this salsa makes a great base for recipes like blackened chicken, jerk pork, or spicy tropical pizza. 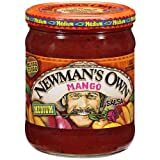 A delectable blend of spicy and sweet, Newman's Own Mango Salsa offers a blast of heat and that delicious mango flavor for recipes and dipping. Add a jar of this salsa to a food-themed gift basket or bring one to the next holiday party as a fabulous hostess gift. Give the gift of a tropical getaway for your tastebuds with a jar of this fruity, spicy salsa. The sweetness of mango blends perfectly with a hot habanero kick. Mango obsessives will love this salsa for its fresh flavor and chunky texture. Mango powder is a little-known ingredient that will delight adventurous home chefs who love new cooking challenges. This spice-like ingredient is made from unripe mangos, which are then sun-dried and ground into a powder. Its tart flavor is used in recipes to add a unique sourness to recipes like curries, pastries, soups, and marinades. 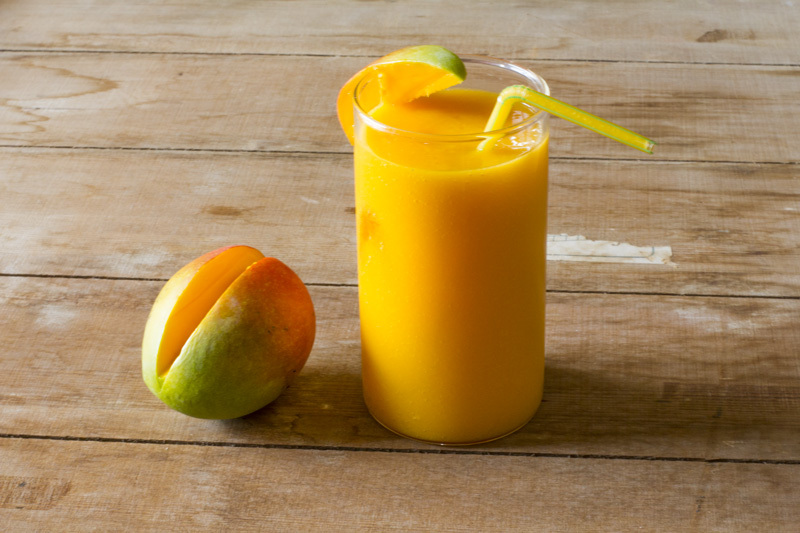 Other types of mango powders are used as metabolism-boosting dietary supplements. Special Note: Our spices do not have anti-caking or anti clumping agents or other harmful additives, hence with a sticky product like our mango powder, natural clumping will occur. This does not indicate that the product is old or bad, just all natural! 100% Natural, No preservatives or Fillers, All Natural, Non-GMO, Gluten Free Ingredients, PREMIUM Gourmet Food Grade Spice. Packed in a no barrier resealable/reusable Plastic Jar, let us tell you how important that is when handling Indian Spices! 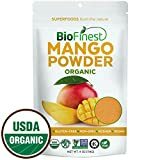 A sweeter version of mango powder, this ingredient promises to deliver nutrients and aid in digestive balance when you add it to smoothies or health drinks. This blend is the perfect gift for the health nut in your life who loves the tangy sweet flavor of mangos. Encourage your loved one's love of adventurous eating by gifting them a quantity of tangy mango powder. This spice-like ingredient will add a kick of bright acidity to recipes ranging from samosas to dal. This blend is gluten-free, non-GMO, and contains no artificial ingredients. Maximum Strength Pure African Mango Extract Powder (Irvingia Gabonensis, Wild Mango), 1 Pound, Supports Metabolism and Fat Burning, Non-GMO and Vegan Friendly. A great gift for anyone who's trying to make healthy choices, this mango dietary supplement promises to promote weight loss and help control blood sugar. Made from African mango, powder blends easily into smoothies and offers an added boost of minerals such as magnesium, calcium, and potassium. The dark, dreary days of winter can be tough – that’s why everyone needs a blast of Vitamins A and C in their stocking this year. Keep your fridge full of nutrient-rich mango juice, and hand out bottles to holiday visitors to help keep spirits high. This sweet juice blend offers a tangy alternative to orange juice, bringing a cheerful orange color to the breakfast table. Give a bottle as a gift to anyone who loves the fresh flavor of mangoes straight from the fridge. 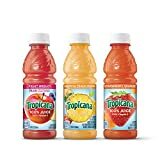 This juice variety pack includes three 100% juice blends - Fruit Medley, Pineapple Peach Mango and Strawberry Orange- that are the perfect stocking stuffer size of 10 ounce bottles. Best of all, each bottle contains your daily dose of Vitamin C.
A to-go size bottle makes the perfect addition to gift bags and baskets, an ideal gift for your mango-craving loved ones. Buy it in bulk to make sure your fridge is always stocked with the zesty flavor of mango juice. Looking for the perfect gift for your friend who loves to entertain? Gift them a jar of chutney, a saucy condiment that tastes great as a dip, garnish, or marinade. Mango chutney can be thought of as a savory jam- it serves as the perfect appetizer for your next holiday potluck or as a gift for your friends who love to experiment with new flavor combinations. 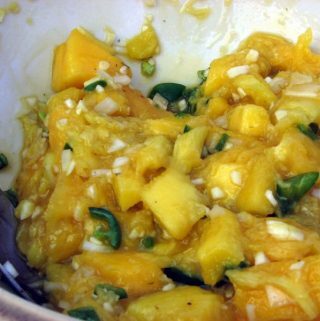 Mangoes are the star of this flavorful sweet-and-savory chutney. Add a jar to a culinary-themed gift basket for your gourmand friends or serve it up with pita bread at your next holiday party. Flavors of tamarind and mangoes combine for a delicious combination in this chutney, which can be used to marinade meat or even as a salad dressing. 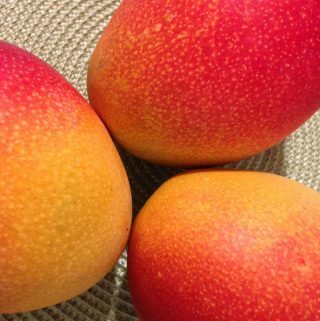 It makes a great stocking stuffer for the mango-lover in your life who wants to expand their culinary horizons. Four pounds of mango chutney… this contains a whopping 90 servings of sweet and spicy goodness! This product is a fantastic go-to dip for everything from chicken nuggets to cheese and crackers. 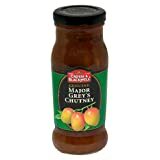 In the bulk size, it makes a hilarious gift for anyone who's truly obsessed with mango chutney. This condiment serves as a mouthwatering light glaze for pork or chicken dishes. Create a gift basket with this chutney, some spices, culinary tools, and recipe books for the perfect holiday gift for an adventurous home chef.